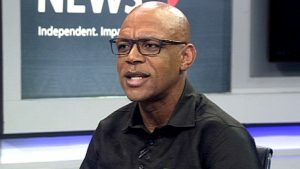 An African National Congress (ANC) employee, Kgoerano Kekana, who was allegedly sexually harassed by ANC national spokesperson, Pule Mabe, has spoken out following the clearing of Mabe by an internal ANC committee of sexual harassment charges. Kekana has labelled the internal party panel that heard her case as having given way to toxic masculinity, misogyny and patriarchy. She states that only one of eight witnesses who would have corroborated her testimony were called by the panel and that she, as the victim, had to go to great lengths to explain herself. In a statement, she says she is exploring other avenues to get relief. The post Pule Mabe “accuser” speaks out appeared first on SABC News – Breaking news, special reports, world, business, sport coverage of all South African current events. Africa's news leader..